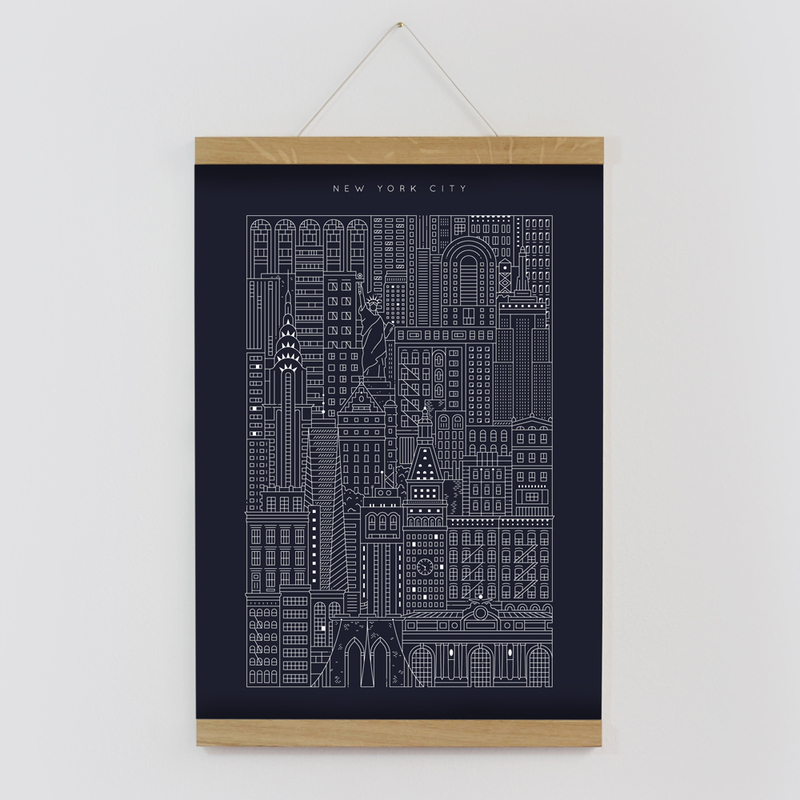 Our ‘blueprints’ series is inspired by intricate architectural drawings. These prussian blue prints capture the charming complexity of different cities. 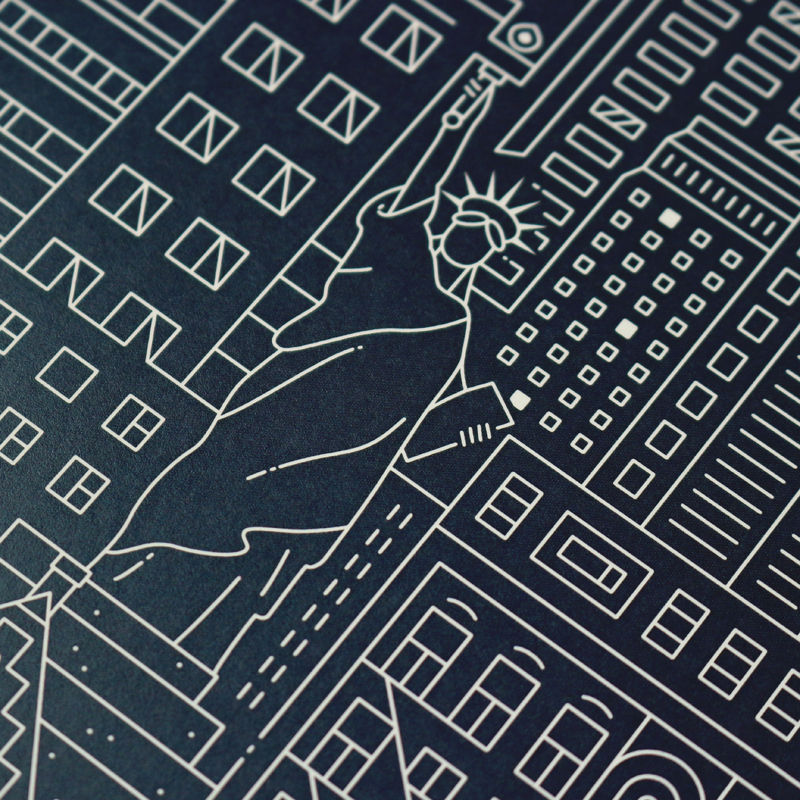 The New York City Blueprint includes the Statue of Liberty, Chrysler Building, Empire State Building and Brooklyn Bridge. 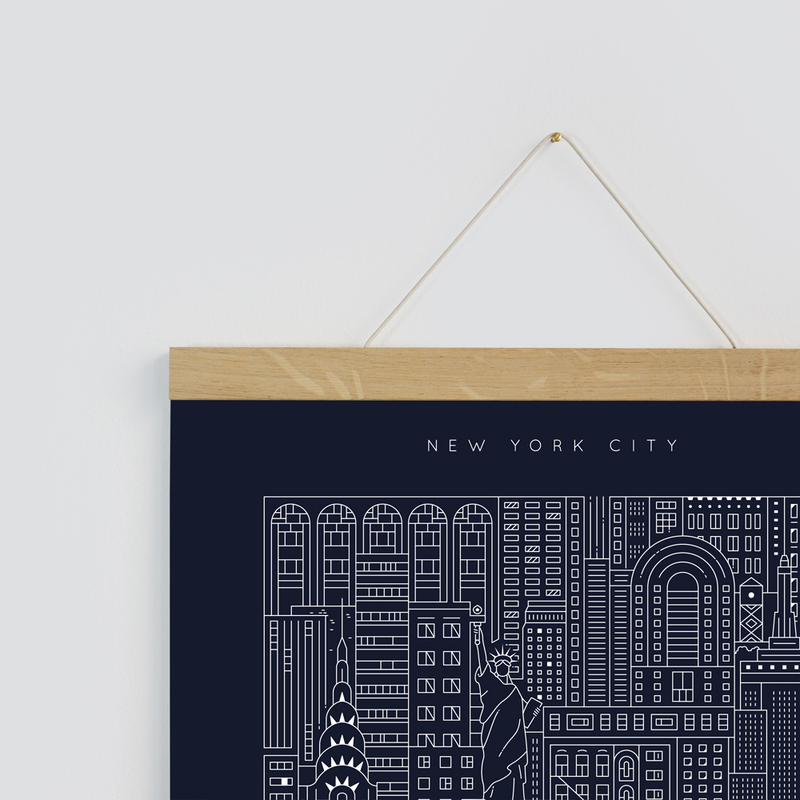 Upgrade your print with our A3 magnetic frames. Made in Germany from oak, they provide a light-weight solution, without needing glass or backing boards.